Aromatherapy workshops and retreats 2019 in Sedona, Arizona are taught by UK-certified aromatherapist Sharon Falsetto of Sedona Aromatics. Sharon worked for a decade in UK healthcare services. 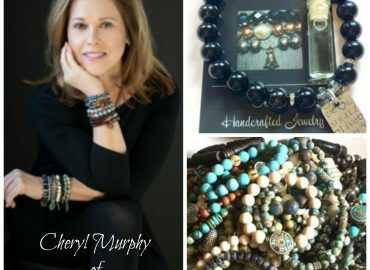 She then moved to the United States and established her own aromatherapy business in 2007. 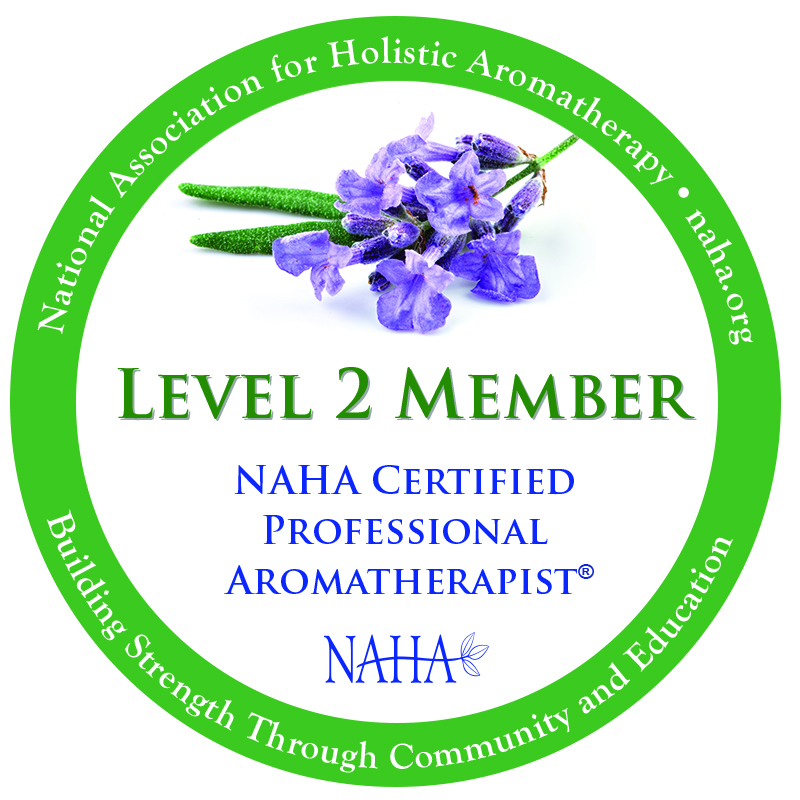 She trained with Penny Price Aromatherapy in the UK. She has also worked as a professional writer and editor in the aromatherapy industry for the past decade. 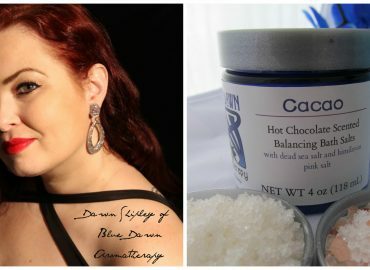 She has written and published a book, Authentic Aromatherapy, and is the chief editor for the NAHA Aromatherapy Journal. 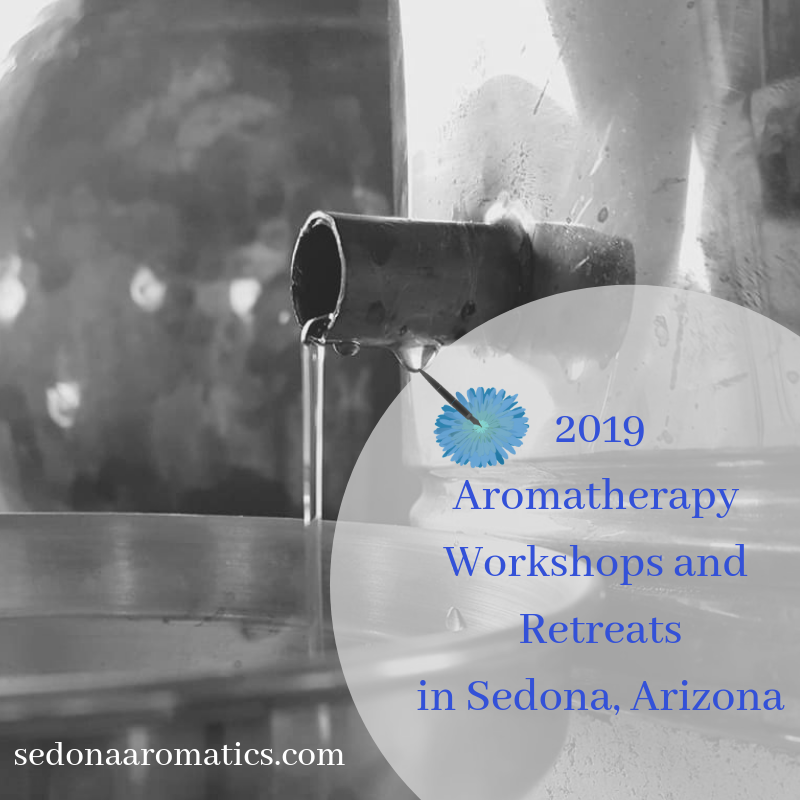 Sedona Aromatics is offering three aromatherapy workshops and retreats 2019 in Sedona, Arizona. 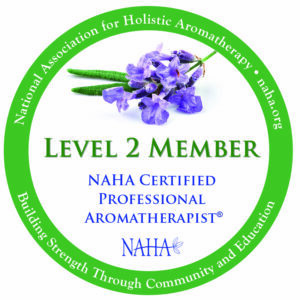 This is a new aromatherapy workshop for 2019! 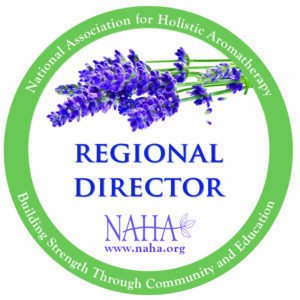 Learn new ways to enhance your aromatherapy blends with the use of essential oils, carrier oils, and other aromatic extractions. Experience hands-on practice with plants from the garden. Study in-depth profiles on individual plants/oils. Learn more complex ways to blend. This is a plant/oil based blending class (not chemistry based), utilizing Sharon’s training and practice of aromatherapy over the years. Other: If time permits, we will take a look at infused oils as well. To learn more about this workshop and to reserve your seat in class: Potions from the Aromatic Garden. Secrets from the Aromatic Garden: September 6-7 2019. $495. The Secrets from the Aromatic Garden Retreat is a combination of a workshop and a retreat as each activity is designed to be both educational and fun! You will learn to identify plants in the garden (subject to availability). Take part in a hands-on distillation of aromatic plants (under instruction)! Create aromatic blends in the garden studio, and/or botanical workroom! We will carry out one plant distillation on our copper still, take part in another plant-based demonstration, study plants in the garden (depending upon availability), discuss aromatic profiles and use that knowledge to create at least two aromatic blends. Depending on availability, we will probably look at herbs from the Lamiaceae plant family in the garden, such as the mints, melissa, sage, and more. To learn more about this retreat and to reserve your seat in class: Secrets from the Aromatic Garden. 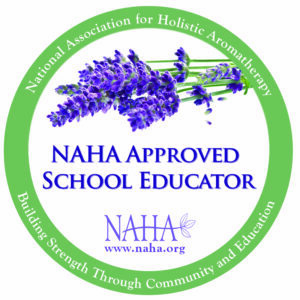 Healing from the Aromatic Garden: October 4-5 2019. $495. The Healing from the Aromatic Garden workshop addresses the power of healing with essential oils for the emotional trauma/abuse suffered in specific situations such as domestic violence. Emotional trauma from these situations may cause PTSD, flashbacks, autoimmune disorders, anxiety, panic attacks, and more. We discuss in-depth ten essential oils to heal, how to use them, and how to blend them. We look at how they can assist in emotional healing. Create botanical art, and discover the overall power of plants to heal. This workshop is suitable for those working with trauma survivors and/or if you are embarking on a personal journey of healing due to trauma. It is written and taught from the heart with personal experience of the subject matter. We will make a minimum of two custom healing blends in class, in addition to the box of aromatics which you will take home. This is a particularly powerful class with regard to the subject matter. Be prepared for some healing of your own, in addition to taking away tools to help others. I hope to plan a follow-up workshop to this one in 2020. To learn more about this workshop and to reserve your seat in class: Healing from the Aromatic Garden.